The Long Term Intensive Spanish course has been designed to improve your general Spanish level to make you a confident, fluent and efficient Spanish communicator in every type of real life situation. These intensive Spanish classes focus on communication and also learning the culture and lifestyle of Spain and Malaga. Our teaching methods which are tailor-made for each students needs make the learning process easy and useful so you will be able to speak and understand Spanish from the very first day in Spain. At the end of your intensive Spanish course you will have greatly improved all the skills of the Spanish language: reading, listening, speaking and writing. 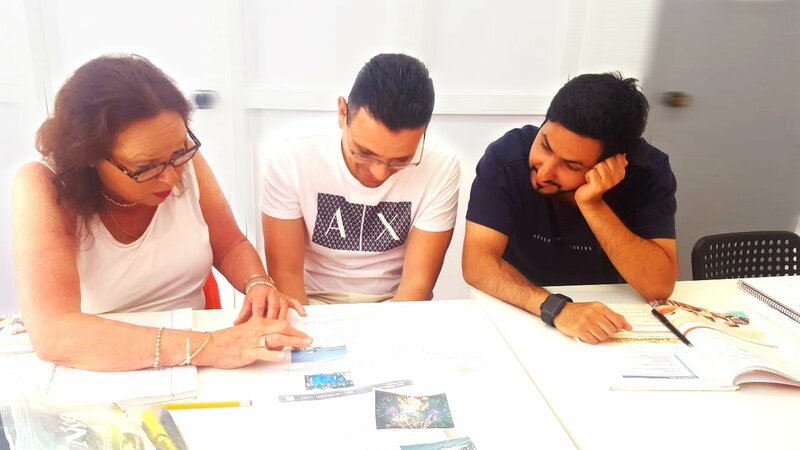 If you enrol on the long term intensive Spanish course in AIL Malaga, you can also sign up to our fun and social activities where you will make lots of friends your own age, familiarise yourself with the Spanish lifestyle and practice a lot of Spanish. Learn Spanish for a few months and absorb knowledge that will last forever!